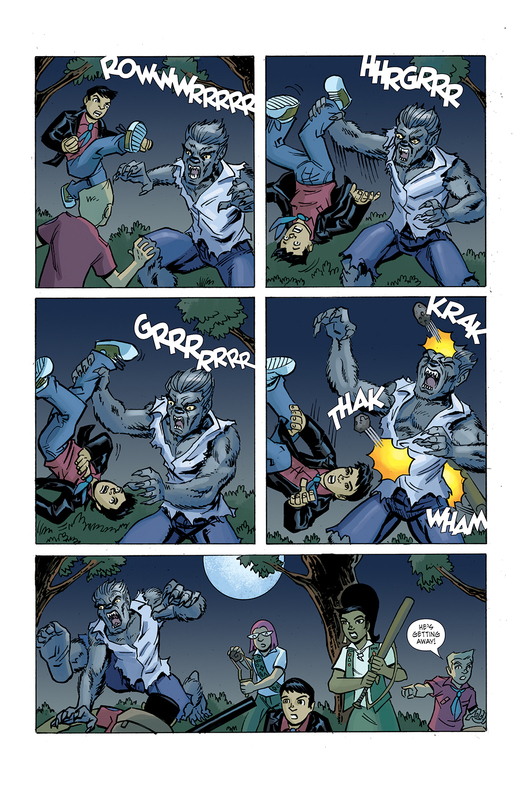 All-Ages Monster Hunters Return in GHOUL SCOUTS: I WAS A TWEENAGE WEREWOLF! 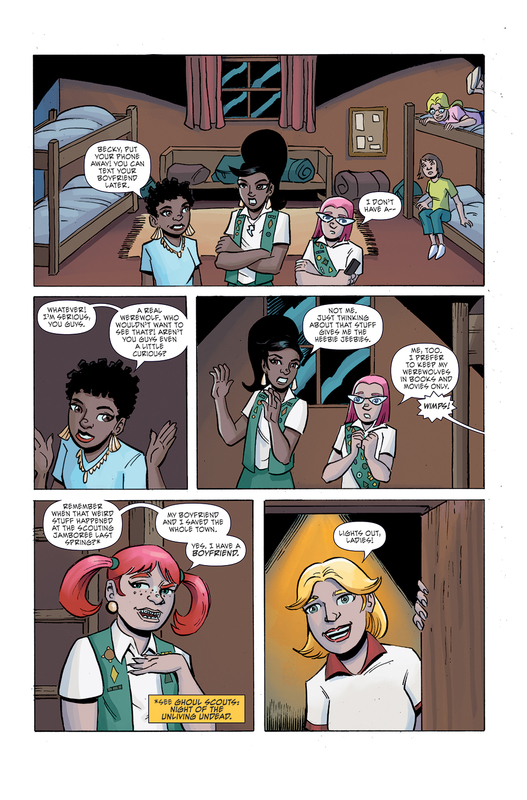 2016 introduced comic fans to the all-ages adventures of Action Lab’s GHOUL SCOUTS. 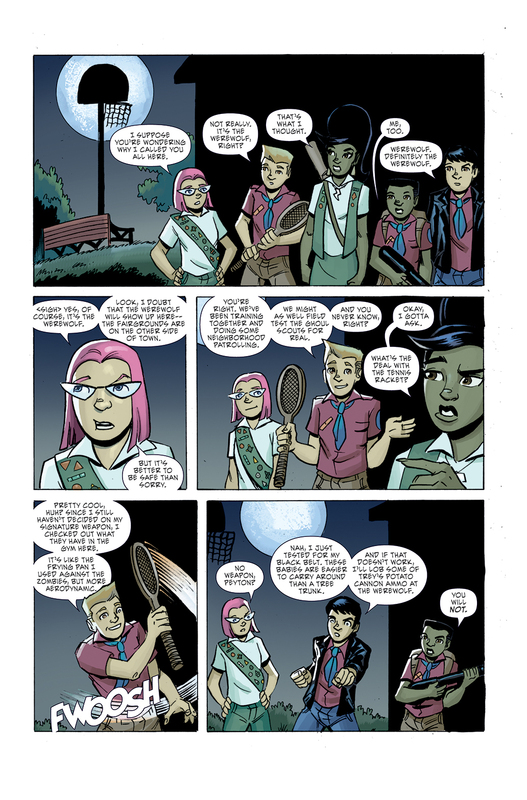 The fan-favorite series pitted the misfit scouts against a zombie outbreak in their hometown of Full Moon Hollow. 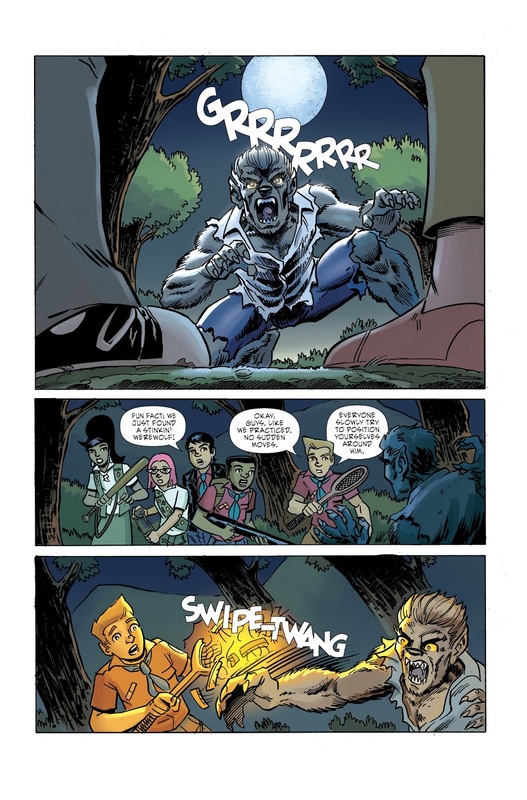 The kids return in March 2018 as a new menace threatens them in I WAS A TWEENAGE WEREWOLF!! 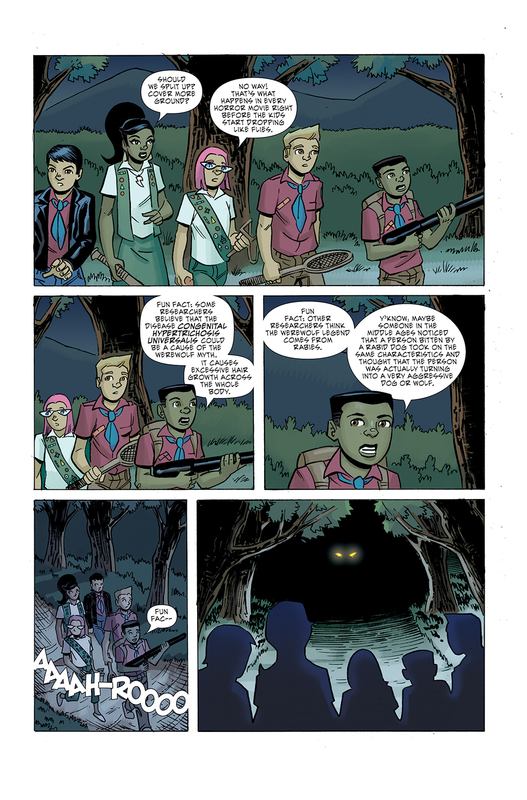 GHOUL SCOUTS, a coming of age adventure in the spirit of The Goonies or Monster Squad, follows five middle-school scouts who live in the self-proclaimed “Paranormal Capital of the World” as they uncover the secrets of their hometown. 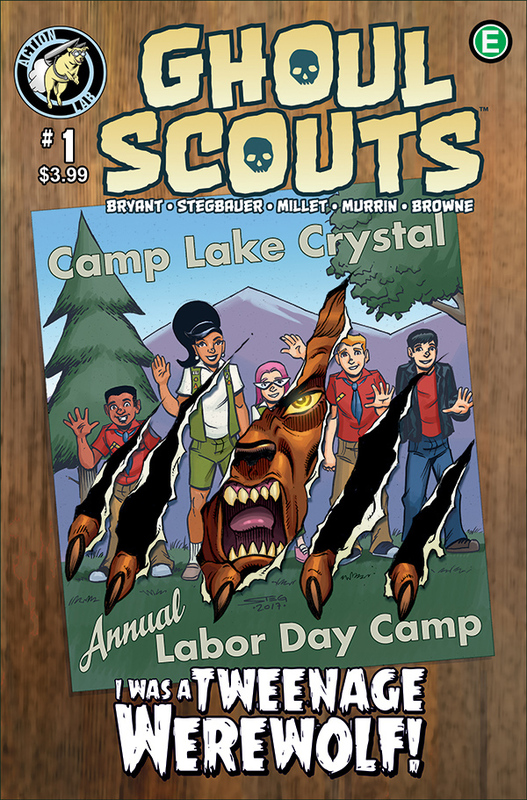 The entire creative team returns as Bryant is reunited with artist/co-creator Mark Stegbauer, color team Jason Millet and Drew Browne, and editor Chris Murrin. 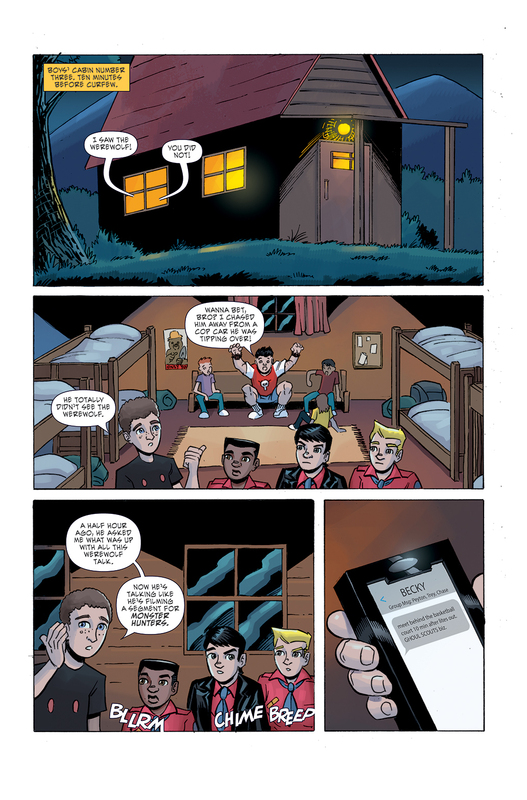 “The whole team has leveled up since our first series, and I can’t wait to share it with readers!” enthused Bryant. The first issue of this four-part volume will be available on March 7th, 2018. Pre-order it with the Diamond item code JAN181094.